When A Blogger Forgets Her Camera..
it's probably one of the most versatile pieces I own! Sorry about the cell-phone photo..
how unprofessional of me, right? 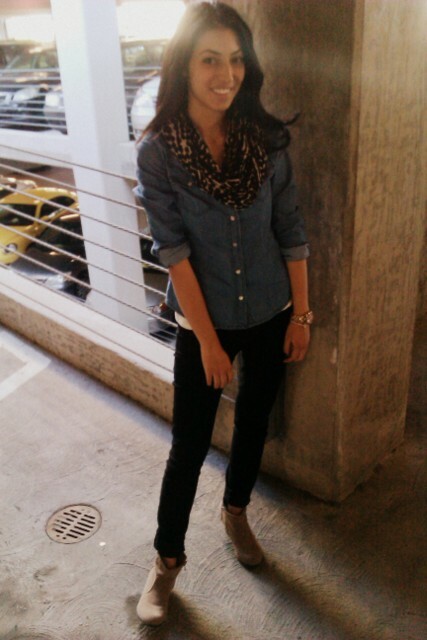 How do YOU like to style your chambray? I love new ideas!